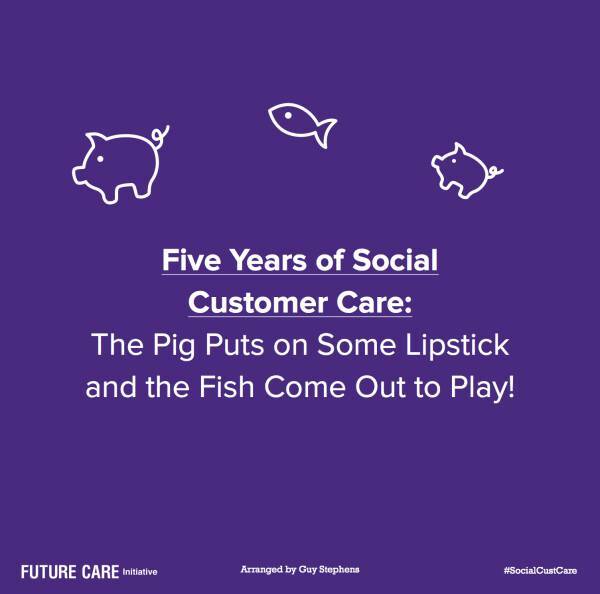 I found out about this IBM Social Business‘ Guy Stephens white paper ‘Five Years of Social Customer Care‘ on my friend Andrew Grill’s blog. 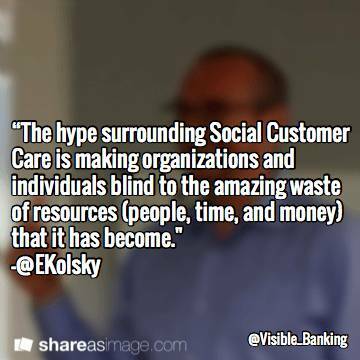 I’d argue that by essence social customer care should sit at the heart of every social business and digital transformation programme. 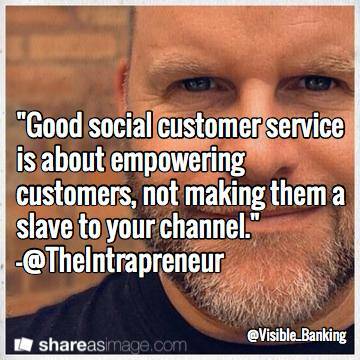 That’s one of the reasons social customer service was always my favourite social media programme with the Voice of the Customer. They both have the potential to profoundly transform your organisation both internally and externally. Over the years, I helped design and strengthen several social customer care programmes in financial services including Allianz‘s global to local strategy back in 2013, when I was Global Social Media Planner at WPP. This ‘Five Years of Social Customer Care‘ white paper was recently published independently by IBM Social Business’ Guy Stephens, Social Customer Care Managing Consultant. I invite you to check Guy’s blog and follow him on twitter (@guy1067). In his report, Guy captured the significant breadth of collective experience from 16 top social business influencers highly experienced in social customer care. No, this white paper doesn’t include a plethora of stats, insights and other infographics on social customer care’s SLAs, metrics, data integration and other social analytics. Better, it’s packed with a broad range of inspirational points of view, personal stories and words of advice shared candidly by the interviewees. 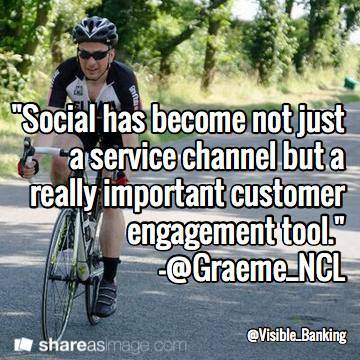 And that makes it one of the most insightful white papers on social customer care you will find today. We will all agree with the contributors: we’ve come a long way since one of the very first major social media crisis back in 2006 when Dell had to recall 4 million batteries. And there is still a long way to go. integrated reporting and standard dashboarding. Among all the thoughts and learnings shared in the white paper, my personal favourites are those covering the notions of automation and redirection, the challenge of scaling operations and the value of customer communities. And if I strongly believe that the rise of mainstream personal branding has been positive for both employers and employees, it has also created tensions as far as the customer is concerned. Today, one of the biggest challenges for brands is the unprecedented level of both access and expectations: anyone can easily reach out to your Senior Executives directly via twitter or LinkedIn. And the more ubiquitous your brand on social media, the more challenging to ‘channel’ customer feedback, positive or negative. Capability: what’s the right type of employee for the job? What are the top required skills? Empowerment: how much do you encourage your staff to take the initiative? Do they have the means to do so? Customer identification: how do you positively match your customers with their social media profiles (and vice versa)? 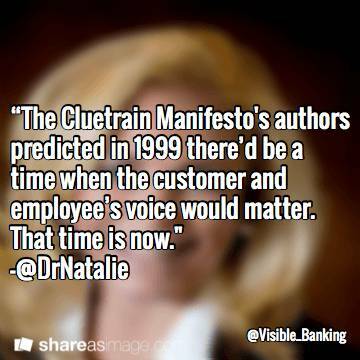 The white paper also includes a foreword from Bob Thompson, President and CEO at CustomerThink Corp. (@Bob_Thompson). 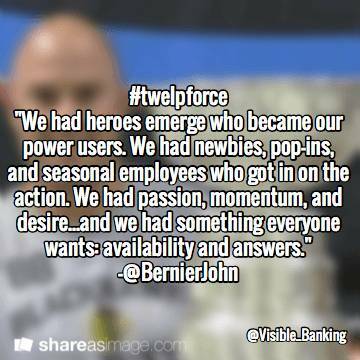 This report is a goldmine of quotes on social customer care. Please find below the top 35 most insightful quotes from those 16 social business experts. 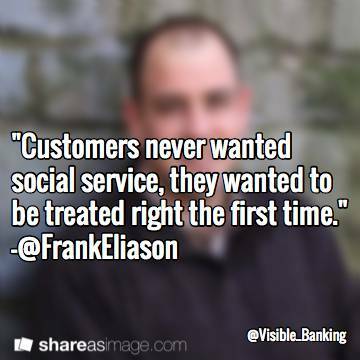 Frank Eliason is currently Director Global Social Media at Citi. I invite you to read his LinkedIn Influencer posts. Richard Baker is currently Senior Internal Communications and Engagement Manager at Carlsberg. Graeme Stoker is a Freelance Digital Consultant, currently Interim Project Director at Northumbria University. John Bernier is Manager – Marketing Communications and Digital Technology at Lubrication Technologies, Inc.
Natalie Pethouhoff is Vice President and Principal Analyst at Constellation Research Inc..
Esteban Kolsky is Principal & FounderThinkJar LLC. I invite you to check out Esteban’s blog. Christophe, many thanks for taking the time to publish this amazing post about the recent retrospective I put together. I’m incredibly pleased with the result, the support I received from all the contributors and the response from those who have read it. I do need to point out that while I do work for IBM, this retrospective was published by me independently of IBM or the Social Business team. While IBM were aware of it, it is not an official whitepaper produced by IBM. Many thanks again for your kind words and look forward to seeing you soon. @Guy thank you for your kind words and for putting together such a solid white paper in the first place. I was merely aiming to do it justice on my blog. Point dully noted: I updated my article to clarify that this is not an official IBM Social Business white paper. Likewise, I’m looking forward to seeing you soon. @Graeme no problem Graeme, it’s well-deserved. Thank you for checking in! KPIs: the challenge of measuring the impact of social customer care on your Net Promoter Score (NPS) which requires a control group, and an automated message triggered upon resolution and aiming to capture customer feedback. Kpi’s are different for every business we create a customer community for as it really depends on what the company wants out of it. The best scenario is of course that the company is doing it for very pure reasons to have a deep engagement with the customer and wanting their input in evolving their business to create better products and services more aligned to their customer needs as well as giving their customers a better customer experience. However reality is often harder than that and we need to look at higher NPS scores or CSI scores through the use of surveys, or customer service cost savings through the use of comparisons on average call time reduction and call deflection, as well as reductions in churn or customer value through comparisons with those that are engaged in the community and those that are not. There are many things we can measure through the use of customer communities as the beauty of it is that these can be fully integrated into existing systems to give the company a great view of the true value of any customer that uses their community in a huge variety of ways. All of that data is fully open to company so any data analyst can have a field day comparing all sorts of things and I’m sure we haven’t found the full value of that data yet, even though we can already see all of the above. So in terms of kpi’s it really varies company by company and in how far they are able to integrate their community into their company and how much they make it part of their central strategy. The more they do, the more complicated the kpi’s can get. someone with skills in psychology, to help analyse such things the motivation, drive, trigger points for interaction in specific people within a community. Someone with a more analytical mind that thrives on analysing the user behaviour and interest of members through the use of the analytics at the backend of the platform. Where are people spending their time, what is their level of expertise, their specific niche, and how and in which ways are they interacting with the platform to better understand how we can get them more engaged. Someone with fantastic social skills and the right inquisitive mind to pull out more questions and lead discussions down the right path to ensure we create conversations that help create fantastic value for the company. Someone who is incredibly internet savvy, always with their finger on the pulse of what is happening on the wider internet to help facilitate the right tone and interest in a community setting. A community in my mind should never be reliant on one person but rather a team which fills in the gaps of the huge variety of people that makes up your community that all need to be spoken too in their own language. And no one person can be expected to fulfil all those roles as it would lead to friction and a very one sided conversation and tone, leading to less value for the business overall. With the above in mind, that does mean staff should have the ability to take the initiative. And come up with a variety of ways to engage and push your customers to create great conversations, ideas and content. Therefor building in the means to work on individual projects with the community is key to getting a great variety of content within a community setting is key. Of course some oversight is needed but this is more of the kind where it is led in the right direction and support rather than blocking or constraining peoples innate creativity on ways of interacting with your customers. If you have an open approach to the kind of interaction you want from your customers, and you provide value for them in terms of how they can interact with you, the ways in which they can initiate change within your company, as well as feeding them with as much information as you reliably can, (without compromising your business), so your customers can make informed decisions and have in depth discussions about how you run your business, you will find your customers (and those who are not yet customers but have an interest in your product or service) will come to you. Because at the end of the of the day, your customers want to engage with you. They spend their hard earned cash with you, and these days people are looking to companies that listen and change their behaviour according to their feedback or that of their peers. Seeing a company that listens, even if it’s not you who talks and voices opinion, is infinitely more attractive than a company that does not. Hope this helps and gives a bit of insight into my thinking around the questions you posed.